T he history of Brazilian Jiu Jitsu (BJJ) goes back through the Gracie family to their original teacher, Mitsuyo Maeda (Conde Coma) and his training in the Kodokan, the home of Judo. First, a brief history of the creation and evolution of Judo. J udo is the creation of Jigoro Kano (1860-1938). Jigoro Kano was a highly educated man (he is considered the founder of the modern Japanese educational system) that sought to combine and preserve the ancient martial traditions of Japan. Kano refined the techniques he had learned primarily from two traditional systems, the Tenshin Shin'yo Ryu and the Kito Ryu, and founded his own style, Kodokan Judo in 1882. One of the most important innovations in Kano's Judo was the emphasis placed on "randori" , or non-cooperative free sparring practice. The majority of the ancient Jiu-Jitsu styles based their training on pre-arranged sequences of attack and defense known as "kata" . 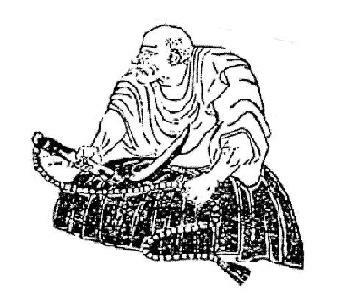 Although Kano acknowledged the value of kata practice (kata training is present in Judo training to this day), he also realized the absolute necessity of learning to apply techniques in the most realistic manner. Randori allows the practitioner to develop the mindset and technical proficiency needed to apply techniques against fully resisting opponents in as realistic a venue as safety allows. Kano's new style was put to the test in the famous tournament of 1886, hosted by the Tokyo Police. Of the 15 matches pitting Kodokan Judo fighters against fighters of various classic styles of Jiu Jitsu, the Kodokan won 13 matches and tied the other two. Kano's hybrid martial art and revolutionary methods of training had proven most effective. F or several years, Kodokan Judo reigned supreme. All subsequent challengers representing traditional styles were defeated, and the superiority of Kodokan Judo appeared unassailable. Then, about the turn of the Nineteenth Century a monumental event occurred when the Kodokan was challenged by a man named Mataemon Tanabe. Tanabe was the headmaster of an obscure system of classical Jiu Jitsu, the Fusen Ryu. The Fusen Ryu was unlike the other Jiu Jitsu styles that had sought to test their techniques against the Kodokan; Fusen Ryu fighters were expert at fighting on the ground, an area conspicuously lacking in the Kodokan syllabus of technique (up to this point in its evolution, Judo techniques were almost entirely composed of stand up throwing methods). In the matches that followed, all representatives of Kodokan Judo were taken to the ground and submitted by the fighters of the Fusen Ryu. 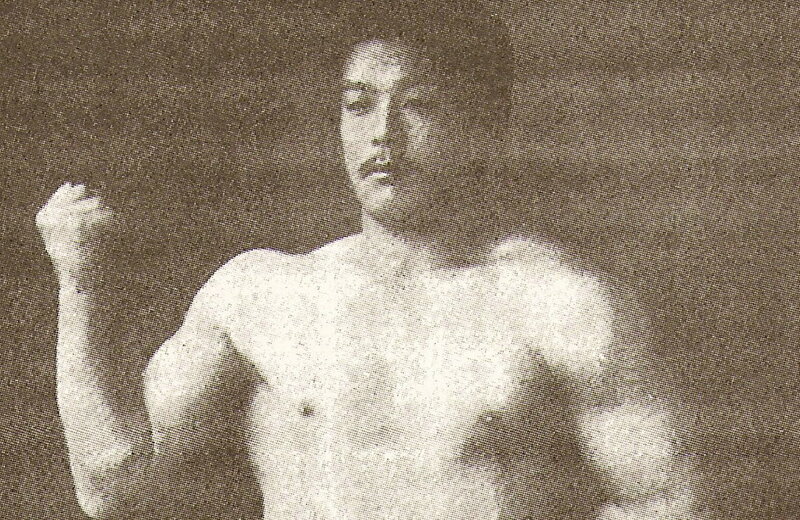 The results of the Kodokan-Fusen Ryu matches highlighted the relevance and importance of ground fighting techniques in dramatic fashion, and Kano invited Tanabe to teach ground grappling at the Kodokan. 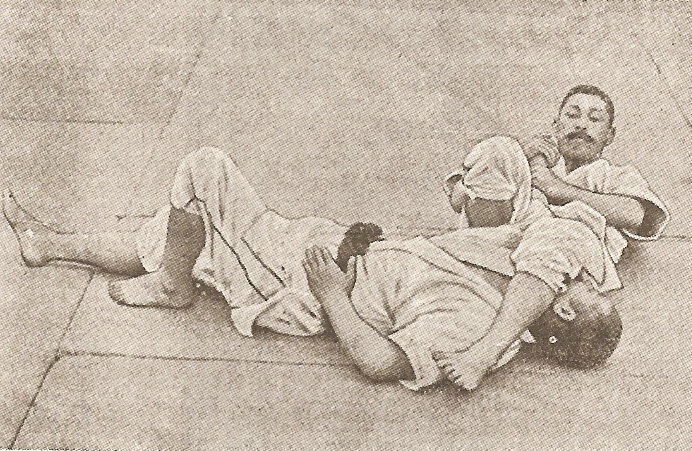 Ground fighting became very popular at the Kodokan, and all students began practicing both throwing and ground grappling techniques. 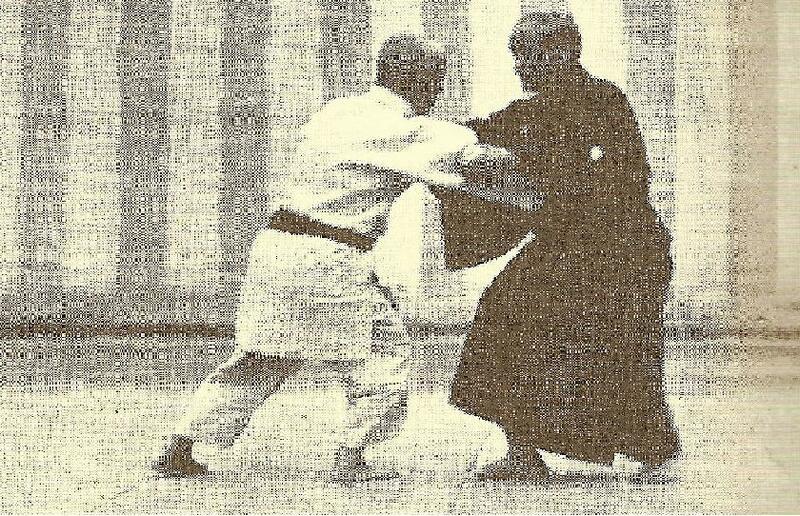 At about the time the grappling techniques of the Fusen Ryu entered the Kodokan curriculum, a young man named Mitsuyo Maeda began his Judo training. M itsuyo Maeda (1878-1941) was a martial arts prodigy who eventually became one of the greatest fighters in the history of Judo. Maeda originally practiced classical styles of Jiu Jitsu, eventually entering the Kodokan to study Judo. After remaining undefeated in Judo tournament competition, Kano sent Maeda to the U.S.A. in 1904 to spread the message of Kodokan Judo. Over the course of his career, Maeda fought in literally hundreds of matches, grappling with and without the gi, and fighting in "mixed" matches (that included striking and kicking, commonly referred to as "no-holds-barred" fights). During his travels, Maeda fought in the United States, Great Britain, continental Europe, Cuba, Mexico and finally Brazil. Throughout his career as a professional fighter, after engaging in over 1,000 free fights, Maeda retired without ever losing a match. The culmination of Maeda's training in classical Jiu Jitsu and especially Judo, tempered by his extensive combat experience against all types of challengers, resulted in a realistic, street effective method of fighting. M itsuyo Maeda finally settled in Brazil and opened an academy of "Jiu Jitsu" . One of his students was a young man named Carlos Gracie. After studying with Maeda for several years during the 1920's, Carlos opened his own academy in 1925. Carlos and his brothers established a solid reputation by issuing the now famous "Gracie Challenge" . All challengers were welcome to come and fight with the Gracies in no-holds-barred (NHB) matches. The Gracie fighters emerged victorious against fighters of all different backgrounds. 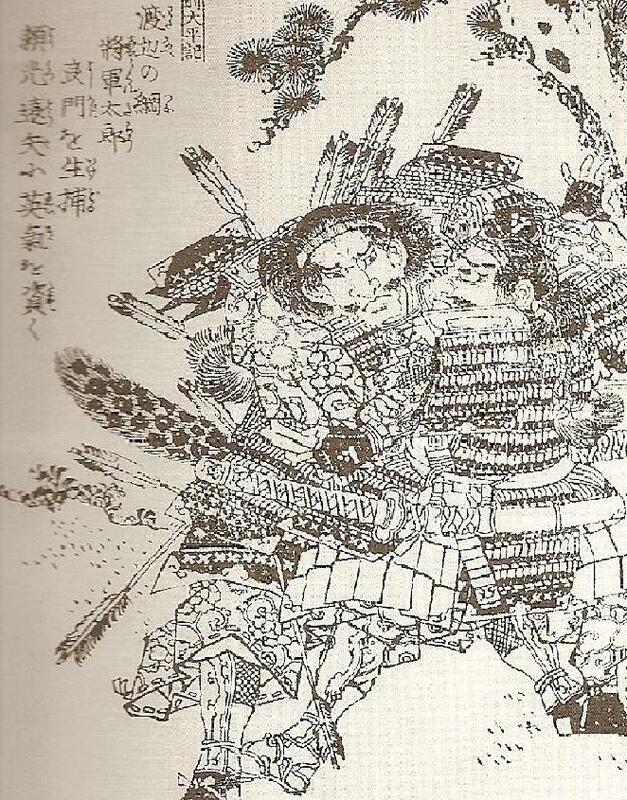 The Gracies continued to develop the strategies and techniques they learned from Maeda, honing their skills with the realities of real fighting. 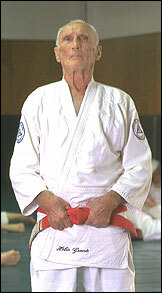 Several members of the Gracie family began to emigrate to the United States in the late 1980's. BJJ became world famous in the mid 1990's when Royce Gracie won a string of victories in the early Ultimate Fighting Championship (UFC) competitions, an event pitting martial artist and fighters of various disciplines against each other in an NHB format. Shortly after, Royce's brother Rickson went undefeated in similar events in Japan, and other members of the Gracie clan were equally as successful in MMA events around the U.S. It became quickly apparent that fighters versed only in punching and kicking lost every time they faced a BJJ trained opponent. At present, all fighters in open rules events (now popularly called "mixed martial arts" or MMA) train in BJJ to some extent. The emergence of the Gracies and their particular brand of Jiu Jitsu, with its time tested and proven effectiveness in challenge matches and MMA fights, has had a major impact on martial arts worldwide. B razilian Jiu Jitsu, although obviously similar in many respects to Judo and other traditional systems of Japanese Jiu Jitsu, differs in some fundamental ways from all other related systems. Judo was originally designed as a powerful system of self-defense that also included a sportive component and the idea of self-cultivation and the mutual benefit of members of society. Presently, although the techniques of Judo may certainly be applied in real fighting situations (and many practitioners of "sport" Judo have applied their skills very effectively in non-sportive confrontations), the emphasis in most schools is on sport competition. During the course of the last century the rules of Judo began to emphasize means of achieving victory in competition that did not necessarily reflect the conditions of all in fighting. For example, a Judo match may be won by a throw or a pin hold without a submission. These rules and limited groundwork that forbids many of the original submission holds found in early Judo somewhat limit direct applicability to street fights. Other styles of classical Jiu Jitsu are still plagued by the original problem Kano addressed with his emphasis on randori, namely, technical training is limited to kata practice.